The loss of a loved one is always difficult to deal with. This is especially true of cases in which another person's negligence was the cause of the death. When people in and around Salt Lake City lose a loved one, it's imperative that they work with an experienced wrongful death lawyer. A skilled attorney can assist with the complexities of the litigation process and help collect damages. Medical malpractice cases that result in fatal injuries are often the most tragic given what we expect from our doctors, nurses, and surgeons. Let's consider wrongful death cases linked to medical errors, doctor malpractice, and negligence. Some medical care needs are urgent, and the work that a doctor does can be life saving. Unfortunately, there is also the chance that a doctor may make a mistake, one that could prove fatal. When medical errors lead to the death of a loved one, that's when seeking an attorney to file a wrongful death lawsuit is crucial. Below are just a few examples of fatalities related to medical treatment. Surgeons must be extremely diligent when treating their patients, carefully making incisions and also noting blood pressure and other vital signs that could signal a problem. 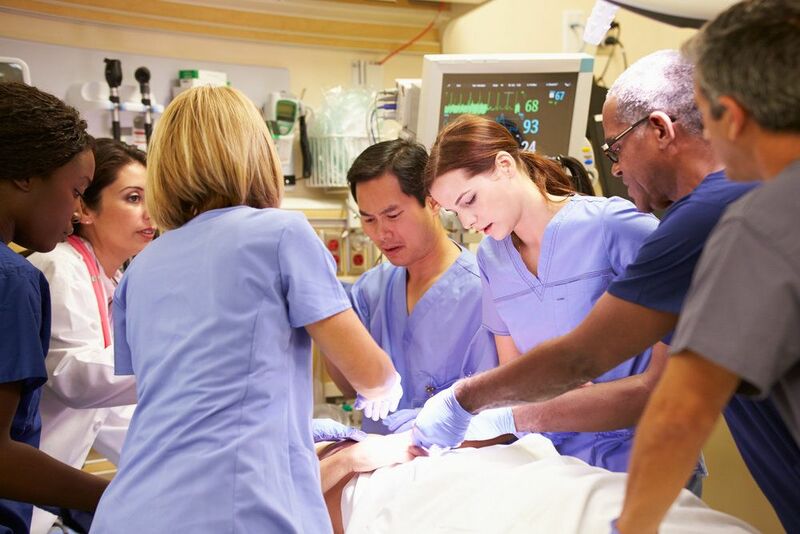 If a patient passes away while being operated on, this is often grounds to pursue legal action. Similarly, if a patient suffers an avoidable fatal complication that occurs as a result of a surgical procedure, that may be grounds for a wrongful death claim. Properly diagnosing a medical condition is key to administering proper treatment at the right time. However, there have been a number of cases in which doctors misdiagnose a condition, fail to diagnose a condition completely, or diagnose a medical problem much later than they should have. When dealing with major infections, cancer, or other kinds of terminal illnesses, this mistake can cost someone their life. Sometimes the issue isn't diagnosis per se that's the problem but rather the medical treatment that's performed. People with serious viral infections may be misdiagnosed with a bacterial infection and given antibiotics rather than antiviral medication, for example. Unnecessary surgeries may be performed that cause severe harm to the body. When these treatments cause fatalities, a lawyer can help with such matters. When prescribing any sorts of medications, it's important that doctors check for patient allergies as well as contraindications. Patients may suffer severe allergic reactions to certain medications, which can prove fatal in some instances. As for contraindications, some drugs taken in combination with one another can cause major health risks. When many prescription drugs are mixed, this can be fatal. Yet these issues are both preventable had the doctor not made a costly error. The statute of limitations for medical malpractice lawsuits that result in death is two years after the medical injury occurred. There is also a maximum limit to consider in these cases of four years from when the fatal medical injury is discovered. Regardless, it is always best to begin the legal process as soon as possible. For more information about wrongful death lawsuits and how we can help you with your legal claim, be sure to contact an experienced personal injury lawyer today. The legal team at our firm will help you in your time of legal need and hold negligent parties accountable for their actions.